IMPORTANT NEWS - TallyGenicom was recently purchased by Printronix. Some of the TG product line that will be retained are the 23xx serial matrix line and the 63xx line matrix (63xx available with the HP line jet emulation). Black River becomes a Platinum Partner of Printronix. This will allow Black River to provide you with the complete Printronix line of printers and supplies, which include, but are not limited to, the P7000 series line matrix printers. Please call 800-840-4277 or check out www.printronix.com to find out more about the Printronix printer product offerings. For true open systems printing with workstations, mainframes and PC applications, the LJ series supports a variety of printing languages and protocols including HP® LineJet® (Enhanced HP PCL II & PJL), HP LP Series, HP256X, HP235X, IBM® Proprinter® and Epson®, as well as VGL and PGL. Equipped with a high-performance RS-232/RS-422 serial port and an IEEE 1284 parallel interface, the LJ series printers work in Windows®, HP3000 and HP9000 / HP-UX" environments. 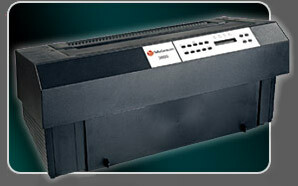 Additionally, the mission-critical applications of the LJ series printers can be distributed over LAN. paper path serves either front or bottom feed. Refurbished printers are available from Black River Please call 800-840-4277 today for a price on this printer, or any other refurbished dot matrix printer. The 3860D prints at blazing speeds at up to 720 cps (@12 cpi). 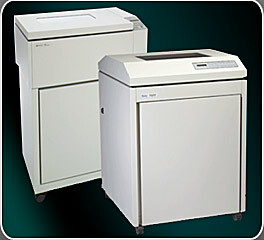 They deliver worry-free performance in your shared-resource, network printing, or heavy-duty printing applications. And like all TallyGenicom printers, they live up to the legendary reliability you expect. Day after day. Job after job. The 3860 can be field converted from one interface type to another to suit your changing systems’ needs with serial and parallel interfaces. And specific models are equipped with IBM Tx/Cx SCS or IPDS, and/or 10/100 ethernet, or and IGP/QMS graphic languages. Serial and parallel interfaces are standard with automatic switching between the two. The 3860 features automatic forms thickness sensing and adjustment for up to 7-part forms. Zero-inch tear-off, automatic paper park, automatic top of form, and a paper motion sensor are also standard. There is even a control panel lockout feature to prevent unwanted changes in printer configurations.